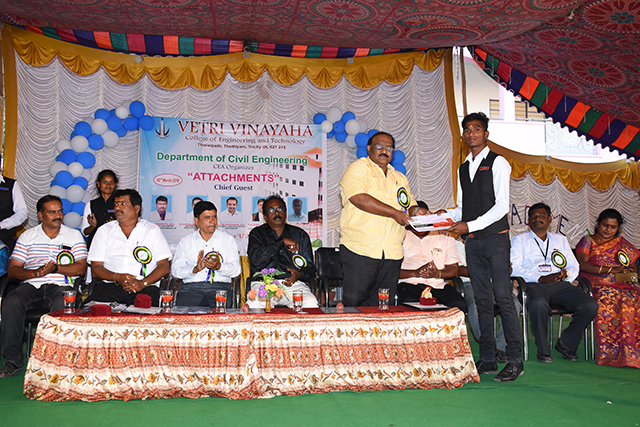 K.Bhuvaneshwari final year civil won second prize in recent trends in plastic roads in the National Level Technical Symposium conducted at Kumarasamy college of Engineering,Karur. T.Ramya won second prize in the National Level Technical Symposium conducted at As-Salam Engineering college,Thanjavur. Akhil Joshy & Tinu.v.Peter won first prize in the paper entitled Earthquake Resistant Structures in the National Level Technical Symposium conducted at M.Kumarasamy college of Engineering,Karur. 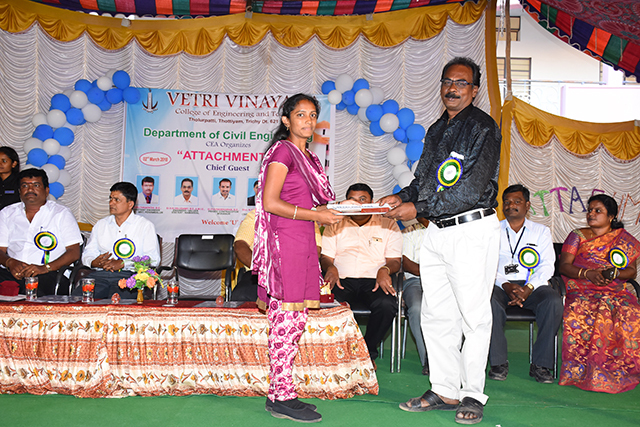 K.Deeba (Third Civil) won first place in Technical Quiz held at Jeyam College Of Engg &Technology, Dharmapuri. 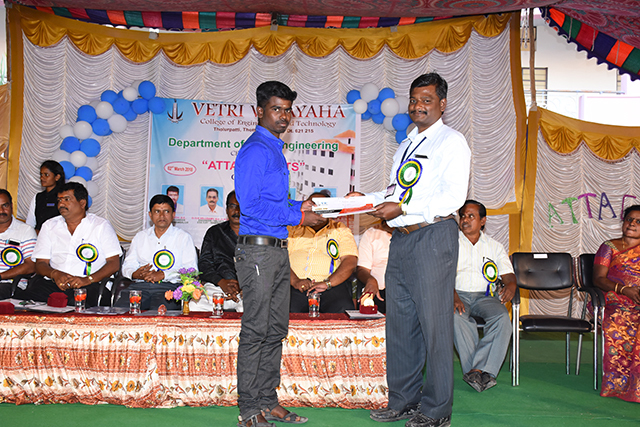 R.N.Abinaya (Second Civil) won first place in Technical Quiz held at Jeyam College Of Engg &Technology, Dharmapuri. K.Deeba (Third Civil) won first place in Technical Quiz in As-Salam Engg college Engg college, Thanjavur. T.Ramya (Final Civil) won second place in Code Cracking held at As-Salam Engg college Engg college, Thanjavur. Mrs.S.Kavipriya HOD/CIVIL has presented a one day Guest lecture in Kongu Nadu College of Engg on the title ADVANCED CONCRETE TECHNOLOGY. Mrs.S.Kavipriya HOD/CIVIL has presented a one day Guest lecture in As-salam College of Engg & Technology,Thanjavur on the title of Earthquake Resistant structures. Mr.A.Stephan Iruthayaraj has attended a three days Work Shop on Self Awareness and Integral Education in Jayaram College of Engineering & Technology,Thuraiyur.